This is a fantastic mirror for your bedroom, boudoir or dressing room. 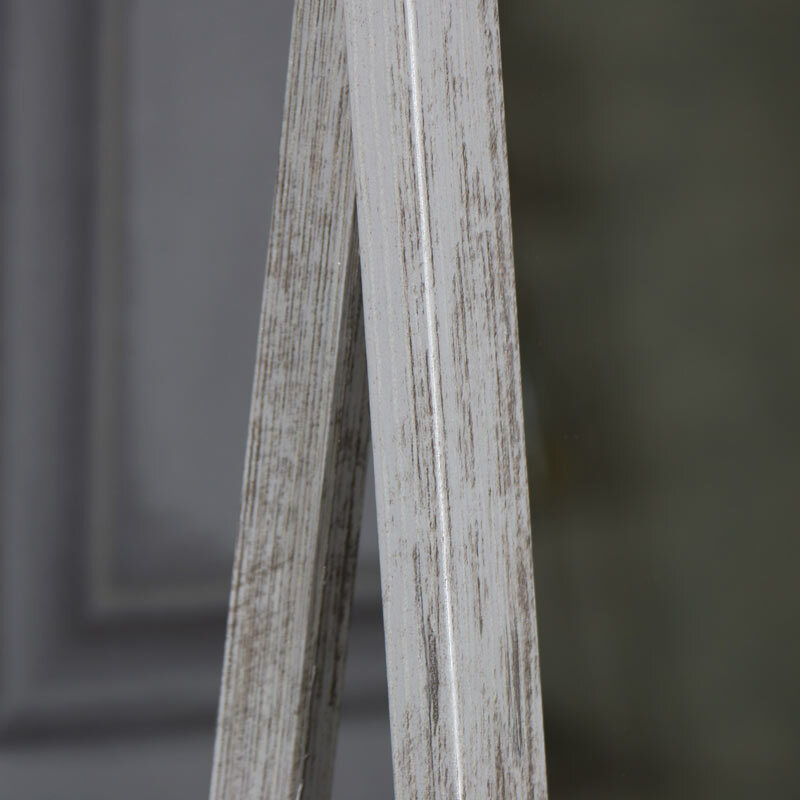 Lovely rustic grey that adds a vintage feel. The tall freestanding design is perfect for placing wherever you need it most. Ensure you're looking tip top for the day ahead or a fun night out. We have a wonderful range of cheval mirrors in a variety of colours to suit every bedroom decor. 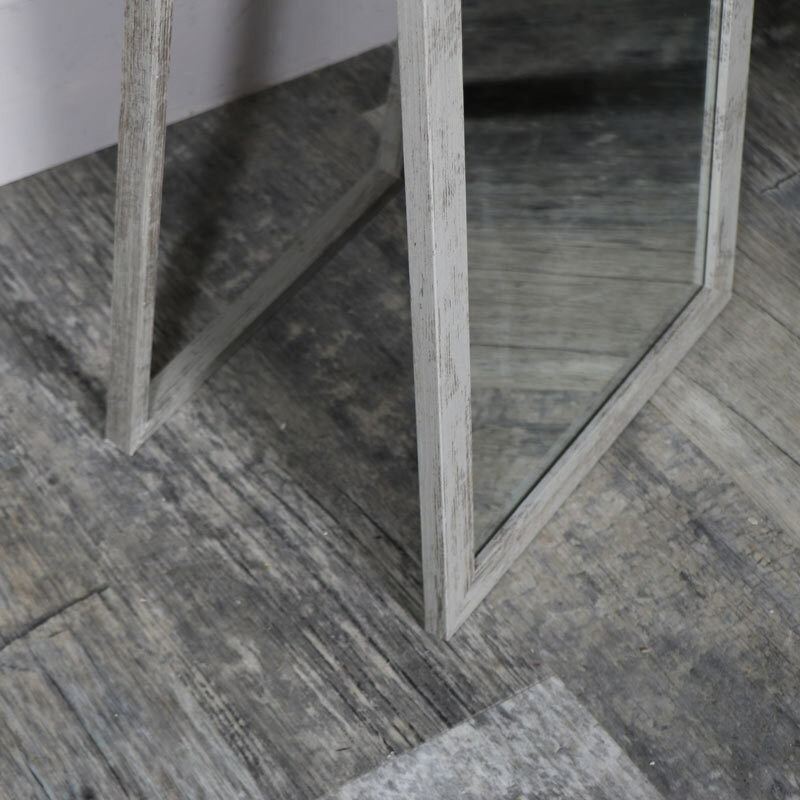 Wooden frame covered in a rustic grey wood effect finish. The mirror itself measures 28.5cm x 148.5cm (width x height) with the depth measuring 59cm with the legs fully extended. This mirror is just a small part of our extensive range of mirrors. 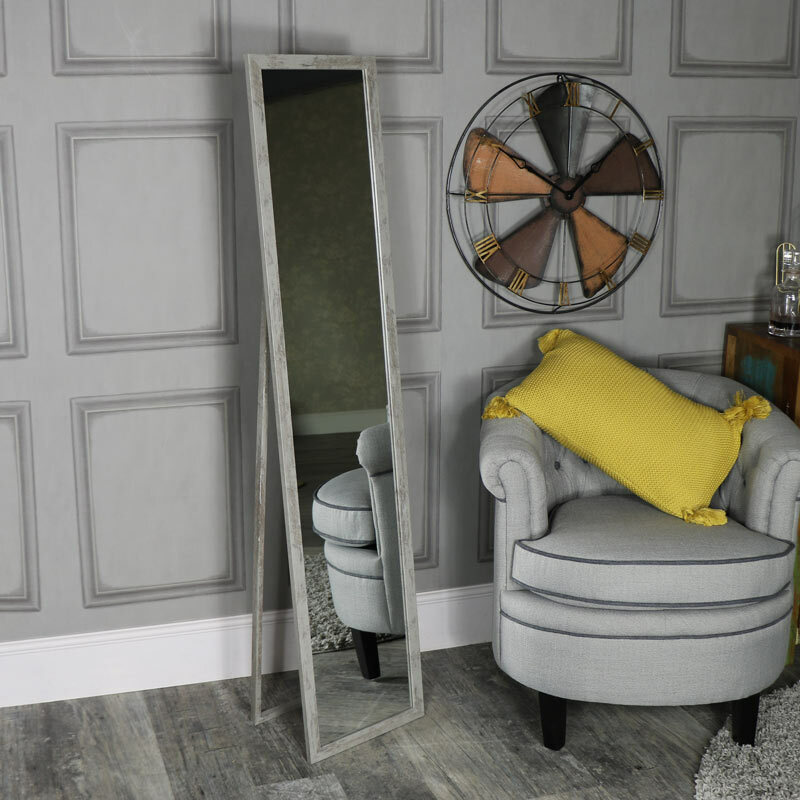 With mirrors in an array of sizes, styles and finishes from floor standing to wall mounted, we are sure to have a mirror that will match your style and decor.